After graduating from Greenwood High School, Mike attended the University of Mississippi where he received his BA in 1967 and his JD in 1970. 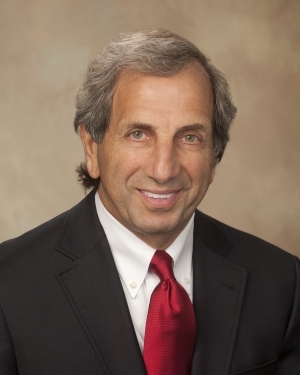 He began practicing as a sole practitioner after graduating from law school, and later formed Malouf & Malouf, where he practices with his son, daughter, and associates. The firm is engaged in the general practice of law. Mike primarily focuses on civil litigation, domestic relations and criminal defense. Mike’s many successes have earned him the reputation as one of Mississippi’s best trial lawyers. Mike has served in various positions within the legal community of Jackson, including Officer and Director of the Jackson Young Lawyers and Board of Directors of the Hinds County Bar Association. He has also been active in the Mississippi Bar, serving on the Board of Bar Commissioners, Committee on Professional Responsibility, Chairman of the Workers Compensation Section, and Chairman of the Unauthorized Practice of Law. Mike is also a much sought after lecturer, and he often speaks at various continuing legal education seminars on domestic, civil, and criminal topics. Mike is active in the development and growth of downtown Jackson. He has served on the Board of Directors of Downtown Partners, and was appointed by the governor to serve on the Mississippi Telecommunications Commission. Contact Jackson Lawyer Michael J. Malouf today with any legal questions you may have.